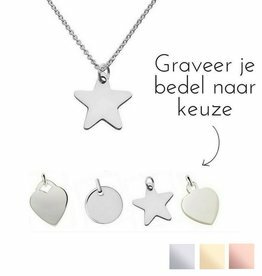 Beautiful genuine silver necklace that you can personalize as you wish. The charm of the past in a new jacket! We can also engrave the beads for a personal touch. 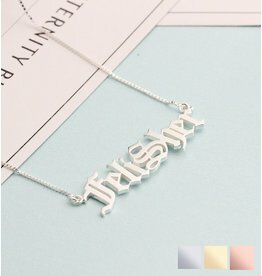 Your initial and that of your sister, what a beautiful and special gift she'll find it. Through-and-through silver, forever beautiful interconnected. 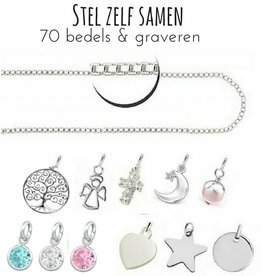 Brilliant chain with a graveerbedel thereto, and a beautiful and opal gemstone. 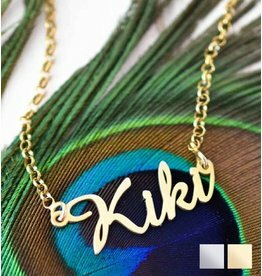 We engrave either a name, word or date. 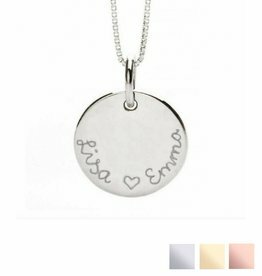 Beautiful sterling silver necklace that you can engrave desired with a name, word or date. 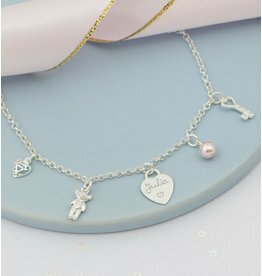 Complemented by a freshwater pearl (symbol of purity) and a lovely cross with crystals.